Donald Glover has been cast in the upcoming Han Solo film, taking on the role of Lando Calrissian. The actor will join Alden Ehrenreich in the untitled Star Wars spin-off, whom is set to play the titular character originally made famous by Harrison Ford. The new movie is scheduled to hit theaters in 2018 following the release of Star Wars: Episode VIII. A message on StarWards.com read: “Glover will join Alden Ehrenreich – previously cast as Han Solo – in bringing two iconic ‘Star Wars ‘characters back to the big screen, but at a time in their lives previously unexplored. 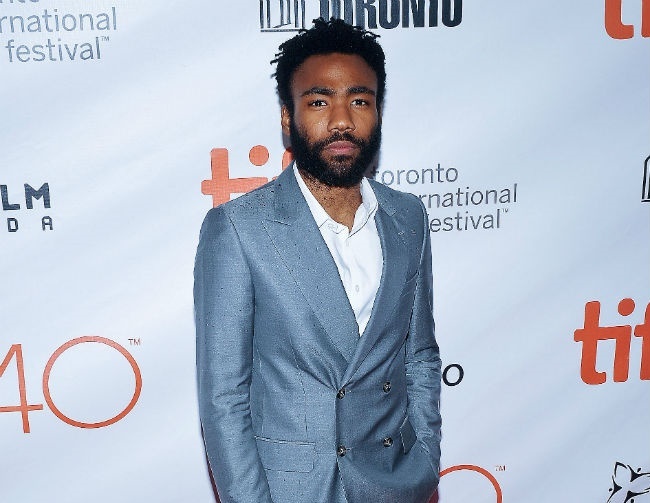 This followed by a brief history and bio of the actor, stating: “Glover is best known for creating and starring in the critically acclaimed FX series ‘Atlanta‘ (which had the highest premiere numbers for any basic cable comedy show since 2013), as well as for starring in four seasons of the show ‘Community‘, and for his Grammy-nominated album ‘Because the Internet‘, performed under the name Childish Gambino. In addition, Glover appeared in the Academy Award-nominated ‘The Martian’, and will be seen in the upcoming ‘Spider-Man: Homecoming’.